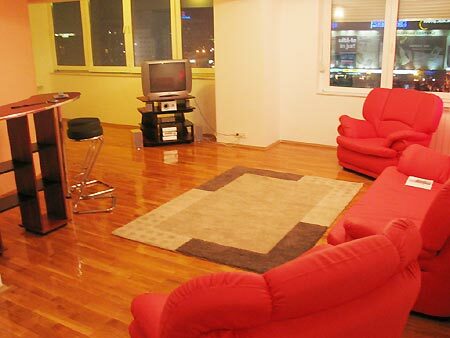 EastComfort's apartments in Bucarest represent the right choice if you wish to stay in Romania. After viewing the list of apartments in Bucarest try sorting the apartments by number of guests, price or our recommendations. Unirii Square, RENTED FOR LONG TERM!!! A beautiful accomodation unit, situated in the Unirii Square, the bucarest apartment comprises a separate living-room (the doors could be closed and the room can be easily turned into an intimate sleeping place) and two bedrooms. Simply designed, the bedrooms have comfortable full sized beds. 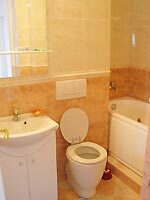 The separate kitchen is equipped for self-caterings (gas cooker, fridge, cooking utensils), while the 2 bathrooms are well fitted (one bathroom has bathtub, toillet and washing basin and the other one has lavatory and toillet). The Ice park, Gregoris Restaurant, fancy shopping and stores, plenty of banks, famous Romanian restaurants cousine (Hanul lui Manuc, Horoscop), loudy clubs, actually, the entire old city center of Bucarest.